The son of the painter Salomon de Bray and his wife Anna Westermoen, who were married may 13, 1625. Yang, who was born about 1627, was probably their eldest son. His younger brothers, Dirck and Joseph, were also painters. Most likely, he was trained in the workshop of his father Salomon. 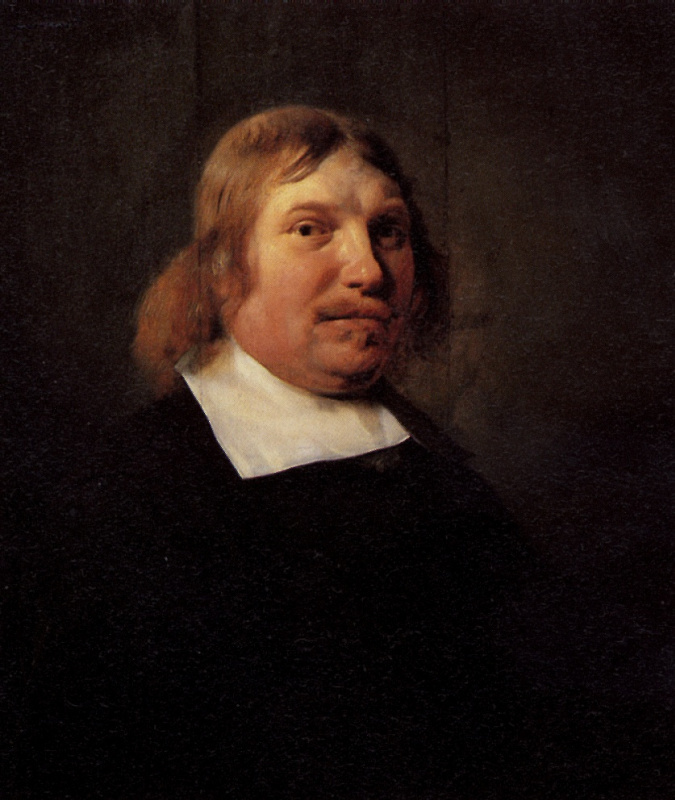 His earliest picture is dated 1648 year and his first known painting was done in 1651. 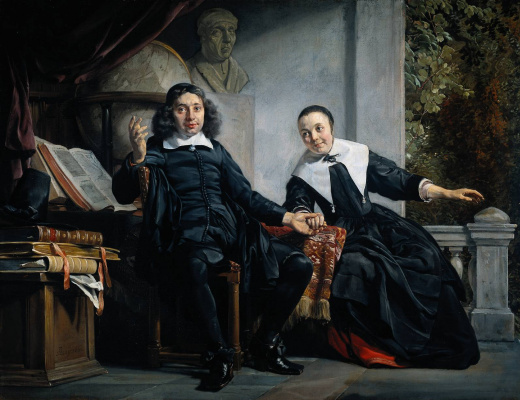 In 1650-ies Jan de Bray was known as an outstanding portrait-painter, though he also showed interest in historical topics. 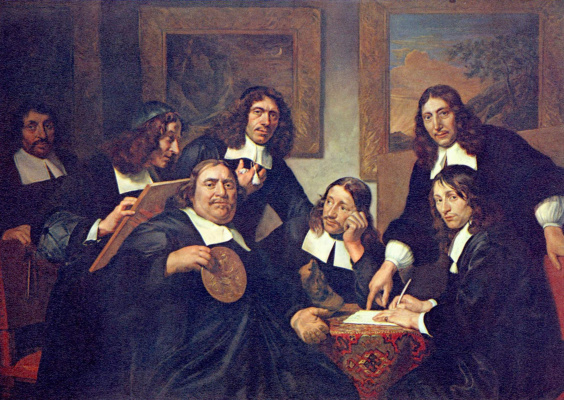 After the death Verspronck in 1662, the octogenarian Frans Hals in 1666, Jan de Bray became the leading portraitist in Haarlem. In the mid-sixties, he received four commissions for the collective portraits of the governors of the city in charitable institutions. With the exception of his first efforts in the early fifties, his work is a little reminiscent of the old masters, Frans Hals. Often his works are colorful and smooth with a palette, in a transparent manner van der Gelsta, these qualities are manifested in his historical portraits. His contacts in Haarlem with classical artists, particularly with his father Salomon, who was his teacher, he influenced popular style of van der Hellste. The earliest document which mentions BRI is a will which he had made in 1664, making brother Dirk as his only heir. Ian has gained considerable reputation in the following years, when he was appointed inspector of the Haarlem Guild of Saint Luke in 1667, and coming in 1671/72., 1676, 1681 and 1684/85. He married in Haarlem in 1668 to Maria van Heath, who died, perhaps in childbirth, in the next year after the wedding. 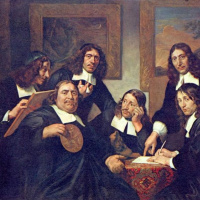 In 1671 widowed Jan de Bray made his second will in favor of his brother Dirk. In 1672, Jan married Margaretha de Meyer in Osdorp. He and his wife made a will in 1673. 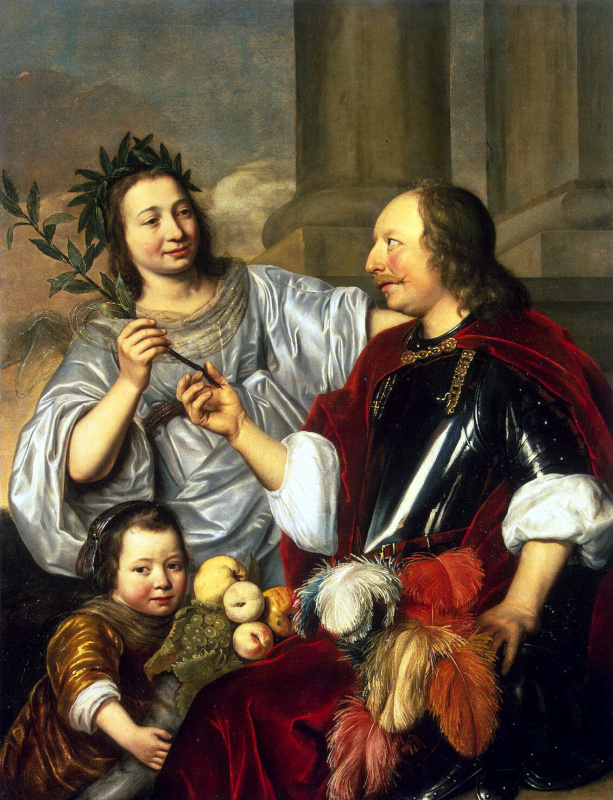 After the death of his second wife, he married for the third time in 1678, this time Victoria Stalpaert van der Wielen, the daughter of a prominent Roman Catholic family. In the same year as Ian and his wife made a will — the fifth of January, shortly before the death of Victoria, who died in childbirth in 1680. By this time, Ian also worked as architect: projects for the Church in the Joined the Mennonite community in Peuzelaarsteeg in Haarlem (1682); the Church itself bears the date 1683 year on the facade. In the same year he produced another will, naming as one of the heirs of Johan de Luke Bray, son, born from his marriage with Victoria Stalbert. It is not known how long the child lived. In 1688, Jan de Bray lived in Amsterdam. This year he presented a detailed proposal for the burgomasters of Amsterdam for the construction of a freshwater reservoir near the Amstel river. De Bry could therefore be regarded as the originator of our modern water towers. 21 April 1689, was presented to the Supreme court petition: "Jan de Bray apparently incurred debts through adversity and loss ", which he is unable to pay. He petitioned for the order of seizure and was subsequently declared bankrupt. In 1692, Jan de Bray became a burgher in Amsterdam, where he remained until his death in 1697. He was buried in Haarlem on 4 April this year. In certain circumstances of his life such as his marriage to Catholic women, suggests that de Bry was probably a Catholic.